Creekside Inn | Where have the days gone? 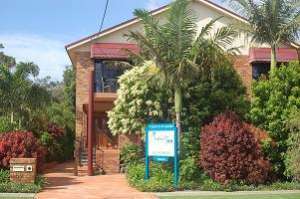 Creekside Inn was our home for two nights in Sawtell. It's a very nice B&B with three guest rooms. We had reserved the Garden Room, which was a little more money because it had an extra bed for Alex; still better than having to get two rooms, and still not bad for A$155/night, including afternoon tea and a substantial breakfast. The actual hosts were on vacation (or, I should say "on holiday") in Tasmania this week, so they had roped a friend from Sydney into running the B&B for them while they were gone. It was Noelle's first try at it, but I would say she did a very good job! Everything ran smoothly, and teas and breakfasts were delicious! There was a little glitch with the free wireless internet password, but she was able to reach them to find it out (though then for some reason my laptop was being persnickety about the connection, but that was on my end). Our room featured a little balcony overlooking the front garden, with chairs for sitting and taking in the ocean breezes, but it rained literally the whole time, ah well. The location was great, though – the main street of town was just around the corner, and it was only a 10-minute walk to the beach. There was lawn bowling right nearby, too, which looked interesting…. but it was raining. I tried Vegemite for the first time at breakfast Tuesday morning. I thought it was OK in small doses on toast. 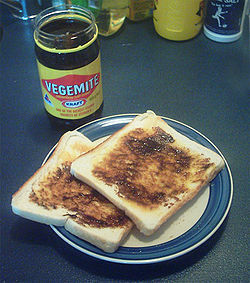 Noelle told us that Australian babies are given Vegemite on toast for teething, so they grow up with it as a comfort food. So that explains a lot. One of the other guests was a couple from Sydney who own a chain of furniture importing stores; they were having meetings in Coff's Harbour and had stayed here before on such occasions – interesting folks, with the gentleman on the phone during tea about ships arriving from Indonesia off schedule, etc. The other guests we never saw - they got in late, and then overslept their breakfast and had to run and catch their taxi before we saw them. 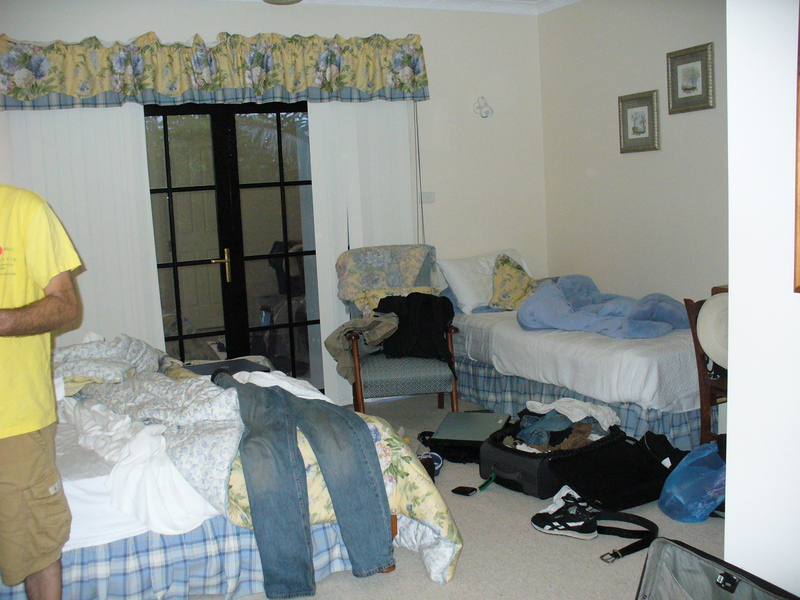 Overall, a great place to stay – I would go there again, and recommend it.